Kids will enjoy Nature & Wildlife Tours and Malcolm Douglas Crocodile Park and Animal Refuge. Take a break from the city and head to Cable Beach and Gantheaume Point. On the 13th (Mon), spend a fun day on foot with Walking tours. And it doesn't end there: get engrossed in the history at Broome Historical Museum, take in the architecture and atmosphere at Catholic Diocese of Broome, kick back and relax at Broome Town Beach, and stroll through Roebuck Bay. 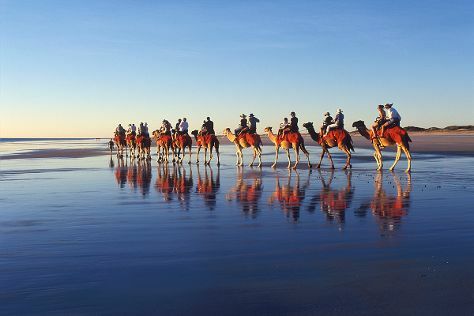 To find more things to do, maps, photos, and more tourist information, you can read our Broome route planner . July in Broome sees daily highs of 35°C and lows of 17°C at night. Finish your sightseeing early on the 17th (Fri) so you can travel back home.